I love old bikes...especially those that are still in use. This is an example; I came across it locked to a stand in Greenwich Village last night. 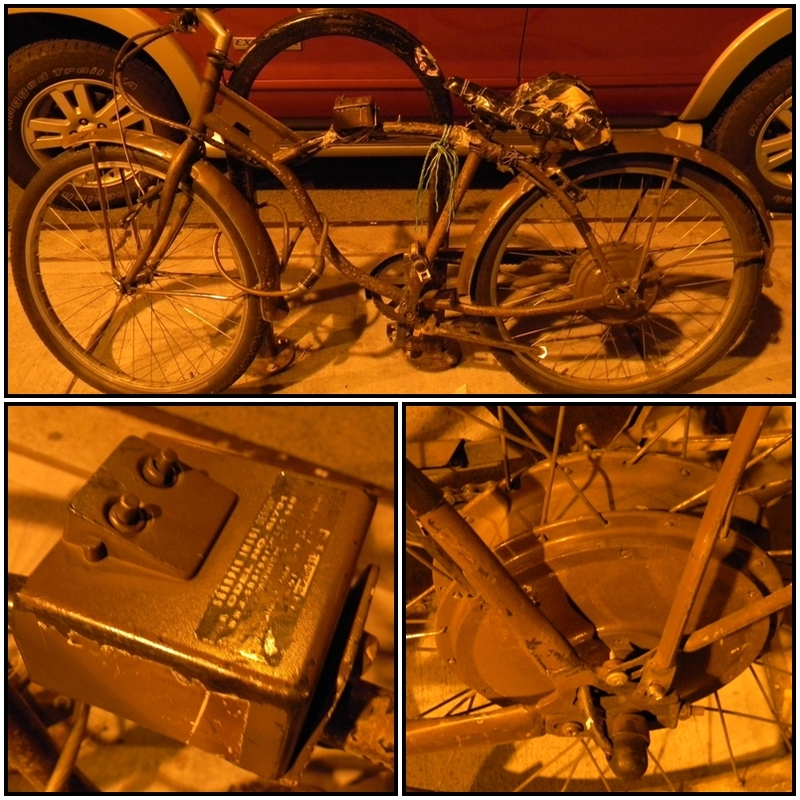 In a city like New York you see plenty of old bike leaning around (probably less likely to get stolen than a shiny new one), but what caught my eye about this one as I was walking by was the box on its crossbar (looks like a control box of sorts). And at closer inspection I saw the enlarged rear axle. 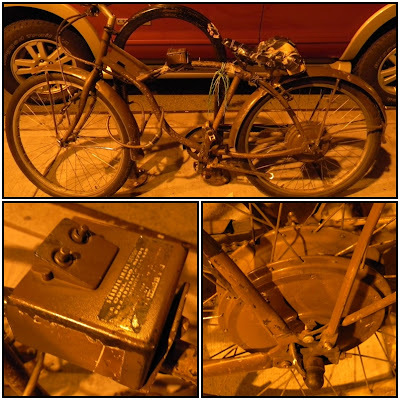 Could this be an early electric bike...possibly a WWII bike? It looks like it weighs a tone. Anyhow, I just thought I'd pass this out to the blogesphere. If anyone has any thoughts on this I'd love to hear them. You've got to admit it is a pretty cool looking bike. Looks to be an Opel motor bicycle (moped in modern parlance). The frame design allows for the mounting of a 50cc gas engine below and fuel tank above, but this one is obviously electric. Cool beans! It's sufficiently both rare and historic that I wouldn't use one for a street bike. It also must have come to the states when it's former German owner "no longer had use for it," as they used to say. It was definitely unique looking...and also looked like it weighed a ton.